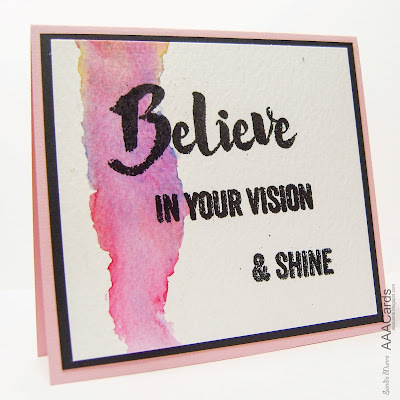 This card I made for a very dear friend who I knew needed to be reminded to believe in her dreams and remember that whatever she did she would shine! I made it a while ago but wasn't that happy with it but am hoping the thought behind it helps her over look this! I also wanted to use my watercolouring masking paste that hasn't been used for a while plus some actual water colour paints (not brushos!). I used paste to mask off a rough area. I then watered this area and added a mix of water colour paints. Left this to dry over night and then heat embossed the sentiment. You can't see from the photo but each letter of the sentiment is covered in WOS....to make it shine! 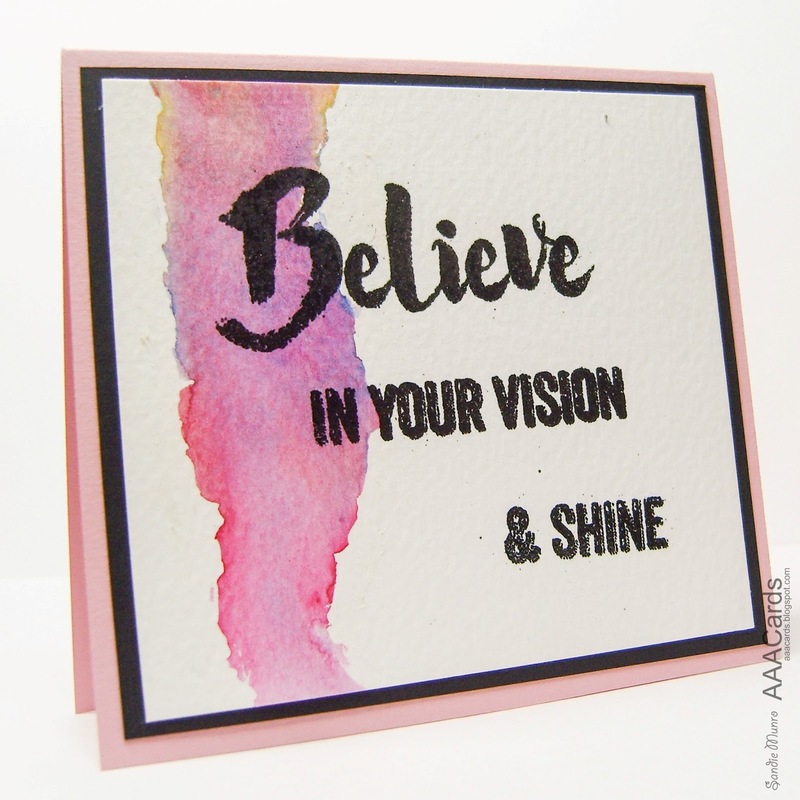 Our Guest Designer for this challenge is the very talented Rahmat-check out her blog here I have followed Rahmat for a long time now and adore her creativity from cards to cooking! Check out what Rahmat and the DT have made to inspire you here and then get masking! Nice technique! Beautiful and strong card! 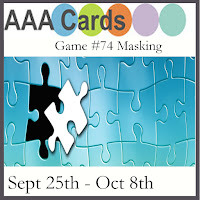 Your friend is going to love this card! I especially like the water coloring that is unique and simple and lets your sentiment take center stage!! Stunning card, and such an inspirational message. A beautiful, touching, heart-warming card for your friend, Sandie...she'll love it, as do I! I don't know what about it you don't like. It's grungy in a feminine and soft kind of way, I find it beautiful and unique. Love the simplicity yet strikingly beautiful card! Hi Sandie! I am late in commenting this time around, but wanted to stop in to tell you how much I love your card. I love the mix of colors in the watercolored area. It came out beautifully. The sentiment is wonderful. I am sure your friend was encouraged and uplifted by this heartfelt beauty!